This story originally aired on August 24, 2015, and posted on the cbs-6 website here. RICHMOND, Va. — When the Ashley Madison subscription list was leaked last week, attorney’s expected an avalanche of calls and emails from wives or husbands who had discovered their spouse was registered on the Ashley Madison website. 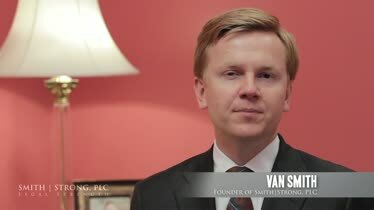 Attorney Van Smith of Smith Strong PLC and author of, “ Divorce and Custody in Virginia” said he receives as many as 10 calls a day from people seeking a divorce relating to the Ashley Madison hack. The inquiries are coming from all walks of life and professional careers. However it is heavily one-sided in terms of who contacts smith, and he puts these people in two categories. Smith also said that this time of the year is usually slower for divorce lawyers. The biggest reason is the start of a new school year, so couples don’t want to impact their children. But he hasn’t seen any drop in business due to Ashley Madison.